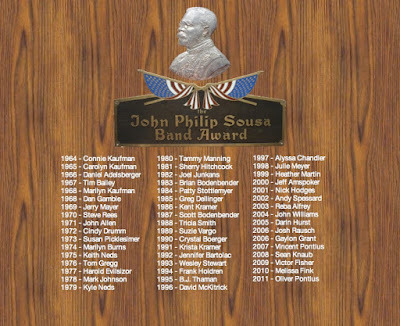 Congratulations to Oliver Pontius, the winner of the 2011 John Philip Sousa Award for Band. He is the 50th recipient at Fairbanks High School, and joins his older brother, Vincent, in the elite club. Congratulations! Check out all the JPSA winners at fairbanksband.org. Thanks, Ms. Janchar, for posting the MS choir video! FMS/FHS Spring Choir Concert 2011 from Theresa Janchar on Vimeo.